Played the 2009-10 season with Buducnost 2nd team, 1B. 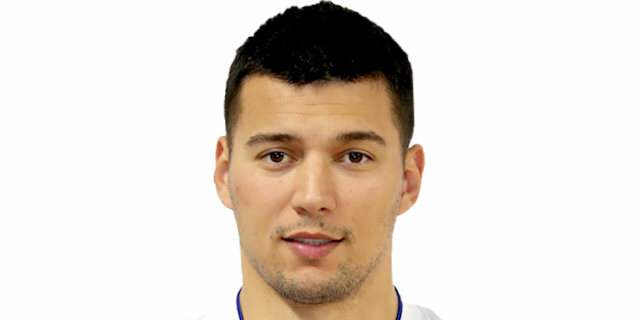 Made his debut with Buducnost main team during the 2010-11 season. Played there till the 2013-14 championship, also playing with KK Podgorica during the 2011-12 season. Signed for the 2014-15 season by KK Gulobovci. Signed for the 2015-16 season by KK Sutjeska Niksic. In January'16 signed by KK Mornar Bar. Won the 2010-11, 2011-12, 2012-13 and 2013-14 Montenegrin National Championship with BC Buducnost. Won the 2011 and 2014 Montenegrin National Cup with BC Buducnost. Played at the 2009 U-16 ‘B' European Championships. Played at the 2010 and 2011 U-18 ‘B' European Championships. Played at the 2012 and 2013 U-20 European Championships. Has been member of the Montenegrin University National Team.